The Captain of the Costa Concordia cruise ship, 54 year old Francesco Schettino, has been found guilty of causing the deaths of 32 people when he guided the ship onto rocks in January 2012 off the Italian island of Giglio in Tuscany. Schettino was facing multiple charges of manslaughter, causing the shipwreck and abandoning ship and at the end of a 19 month trial he has been sentenced to 16 years and one month in jail. Schettino’s lawyers had asked for an acquittal on all charges. The captain had claimed, in his defence, that the reef which grounded the Costa Concordia did not appear on his charts. He also blamed his crew for the collision saying that he ordered the ship to sail close to the island, not for his benefit, but to please the ship's head waiter, whose family came from Giglio and to salute a retired ship's captain on the island. In addition he thought it would be nice for the 3,000 passengers to enjoy the night time view of Giglio close up. He went on to say that he fell off the ship by accident into a lifeboat as it tilted, and had not deliberately abandoned ship. He then went on to make a tearful plea to the judges for leniency. However, prosecutors contended that the reason the people died was because the captain had not ordered an evacuation of the ship promptly. They also pointed out that he had left the sinking ship while passengers and crew were still on board and that the incident occurred as he had recklessly steered the cruise liner onto the rocks with 4,200 people on board. They asked for a sentence of 26 years in jail. His conviction is subject to appeal, which can take years in Italy, and given that he was allowed to be under house arrest in his home town near Naples after the shipwreck and during the trial it is not certain whether he will actually go to jail. Five other Costa Crociere employees who were indicted in the case were allowed to enter plea bargains and none were jailed. 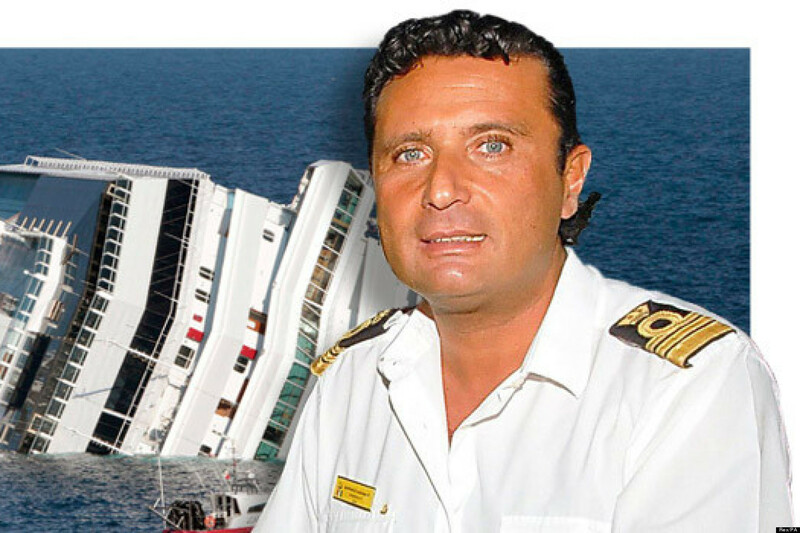 Schettino and the Costa Concordia operator were also ordered to pay compensation to the victims.